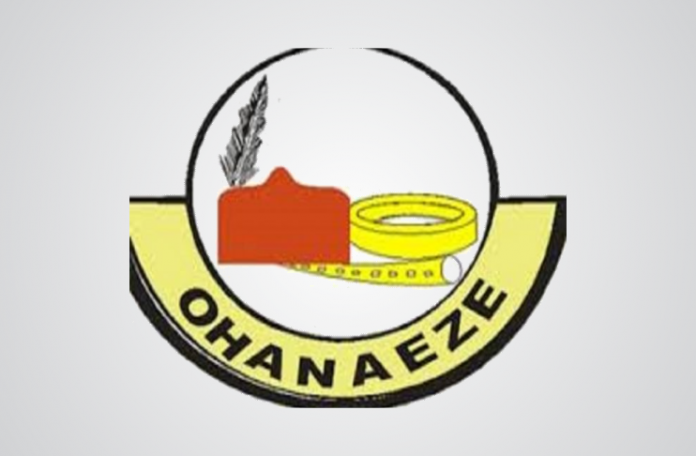 The apex Igbo socio-cultural organisation, Ohanaeze Ndigbo has denied endorsing Atiku Abubakar, the candidate of the People’s Democratic Party (PDP) in the 2019 presidential election. The deputy national publicity secretary of the organisation, Mr Chuks Ibegbu disclosed this on Thursday, January 10, in Enugu at a media briefing to mark the second anniversary of the current executive of the organisation. Ibegbu said that the clarification became necessary following misconceptions on the event of November 14, 2018 where some Igbo leaders endorsed the candidacy of Atiku Abubakar for presidency. It would be recalled that some Igbo leaders had during a meeting in Enugu attended by Atiku and the national leaders of the PDP including the Senate president, Dr. Bukola Saraki endorsed Atiku. Ibegbu, however, clarified that the said endorsement was done by the friends of Atiku, adding that the organisation had not endorsed any particular candidate. “we have given our modest contribution by re-jigging Igbo leadership and issues concerning our people”.